Ideal female waistline curves from chest to hips in a concave manner. Men have a V-shaped waistline Extra fat padding around the sides of your waist, and abs are called love handles. Love handles can happen even in otherwise normal weight people and in teenagers. This is a genetic tendency for fat deposition and a shape problem. 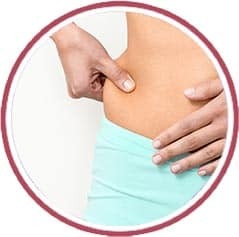 Love handles give muffin top look in jeans and short tops. Both Men & Women desire a narrow waistline and flat abdomen. 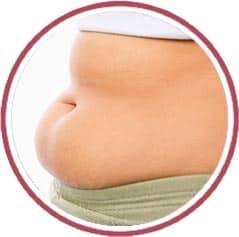 Often it is seen that despite a healthy lifestyle and maintaining weight abdomen accumulates resistant fat. Excess loose skin appears after pregnancy, weight loss and bariatric surgery. Loose skin can be just skin, or it may be a heavy fold with fat. 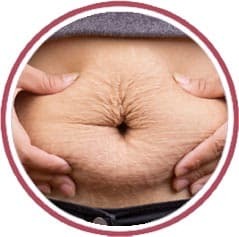 This heavy fold is called pannus and is found in obese women. Stretch marks are common with loose skin. 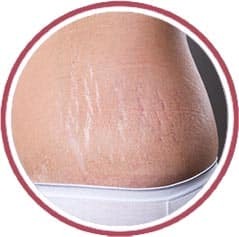 Stretch marks are pink or white linear scars on the skin that are commonly found in female abdomen after pregnancy and in teenage and young men and women, various body parts like, thighs, buttocks, arms. 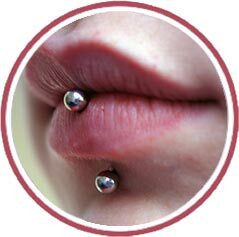 Body piercing of any body part can be done precisely, safely and painlessly under medical supervision.